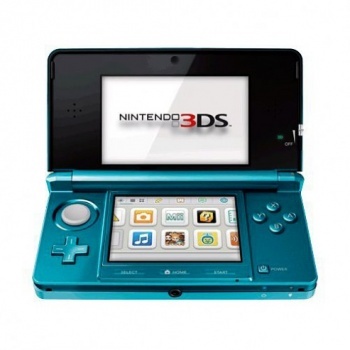 More people want to get their hands on a 3DS from Amazon than any other console in the online retailer's history. Hey, have you heard about this 3DS thing? Yeah, it's supposed to be kind of a big deal or something like that. Not only did the 3DS sell out its first shipment in a single day in Japan, but Nintendo UK said it was the most-preordered console in the hardware giant's long history. According to Amazon UK, pre-launch hype for the 3DS is bigger than even Nintendo itself had claimed - the 3D-capable handheld has more preorders than any console it's ever sold. The 3DS has 20% more preorders than Sony's PS3 did back in 2007, and 56% more preorders than Nintendo's plucky little Wii. It's also smashed the numbers held by its closest relatives in the Nintendo handheld family, putting up 255% more preorders than Amazon saw for the DSi. It hasn't even hit shelves yet, and the handheld is already on Amazon UK's top ten bestsellers list. "It's unusual for a handheld console to attract this amount of excitement in the run up to launch, such high levels of interest are normally reserved for the play-at-home hardware like the ground-breaking Nintendo Wii and last year's Microsoft Kinect," Amazon UK's director of videogames Chris Poad told VG247. "Nintendo 3DS is launching at a time when interest in all things 3D is incredibly high and with the promise of real 3D graphics without glasses, it's a real breakthrough in handheld video game entertainment." A good launch is crucial to Nintendo this time around - not only does the 3DS have the NGP breathing down its neck, but it also faces stiff competition in the form of mobile gaming on Android and iOS devices.